Oncology nurses, nurse navigators, nurse practitioners, physician assistants, medical technicians, and other healthcare professionals involved in the care and management of patients with advanced or metastatic breast cancer. Dr. Gillespie has extensive experience in clinical oncology, clinical trials, and cancer research. She directed oncology clinical research trials in both the community and academic medical center, and was Director of Health Services & Outcomes Research for the Atlanta Veterans Affairs Medical Center. Currently, she is Professor, Department of Surgery and Department of Hematology and Medical Oncology, Emory University School of Medicine; Clinical Associate Professor, School of Nursing; Senior Fellow in the Emory Global Health Institute; and a full member of the Winship Cancer Institute. As Principal Investigator and Co-Investigator on numerous grants, Dr. Gillespie has been funded by the NCI/NIH; CDC; DOD; Veterans Affairs; American Cancer Society, Gates Foundation and Movember Foundation. Her funded studies have focused on cancer health disparities; decision-making by patients, the public and clinicians; risk communication; quality and outcomes in healthcare; and interventions to improve risk comprehension, guideline concordant care, and outcomes. Dr. Gillespie teaches in the Schools of Medicine, Public Health, and Nursing at Emory and has published and presented broadly for more than 25 years. AXIS Medical Education designates this enduring material for a maximum of 1.0 AMA PRA Category 1 Credit(s)™. Theresa Wicklin Gillespie, PhD, MA, RN, has no real or apparent conflicts of interest to report. The following AXIS planners and managers, Linda Gracie-King, MS: Jocelyn Timko, BS; Marilyn Haas, PhD, RN, CNS, ANP-BC and Stephanie Sutphin, PharmD hereby state that they or their spouse/life partner do not have any financial relationships or relationships to products or devices with any commercial interest of any amount during the past 12 months. As of August 1, 2013, pharmaceutical companies are required by the new Centers for Medicare & Medicaid Services (CMS) Open Payments program (aka, the Physician Payments Sunshine Act) to account for certain transfers of value provided to physicians, including certain meals served to attendees of CME activities, unless specific factors are met. AXIS and its partners have systems in place to fully comply with the Open Payments system. AXIS Medical Education affirms that the content and format of the certified activity and its related materials promote improvements and quality in healthcare and do not promote a specific proprietary business interest of a commercial entity. 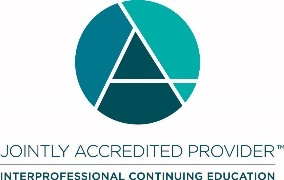 To this end, AXIS employs several strategies to ensure the absence of commercial bias, including, but not limited to, review of all planned content for certified activities to ensure adherence to the Accreditation Council for Continuing Medical Education’s content validation guidelines, and resolution of any actual or perceived conflicts of interest that exist. This activity is supported by an educational grant from Novartis Pharmaceuticals and by an educational grant from Lilly. For further information concerning Lilly grant funding visit www.lillygrantoffice.com.